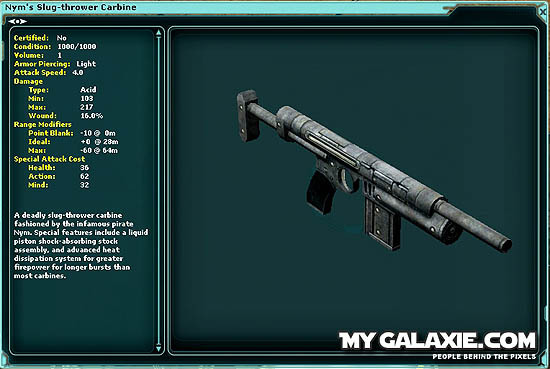 Follow the instructions below to obtain Nym's Slug thrower Carbine, finish the Nym theme park and receive the Nym's Badge of Honor. 1. 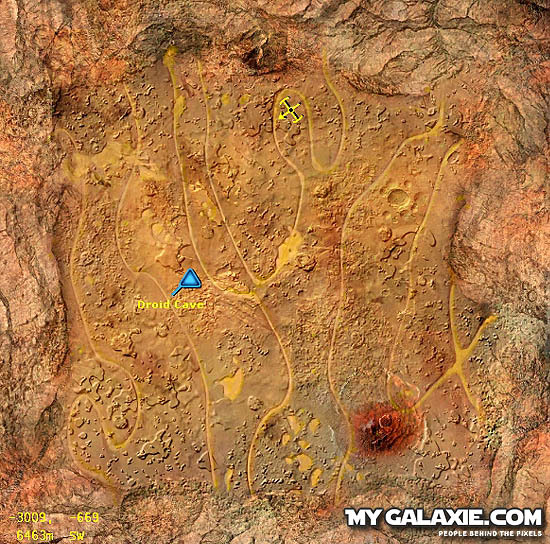 Head to the planet Lok the city of Nym's Stronghold it is located at 474, 5545. 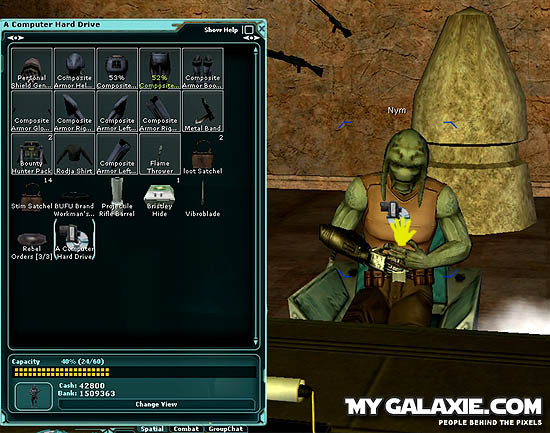 2. go inside the Nym Headquarters and talk to Jinkins he will give you a job to go and recover a Droid memory chip. 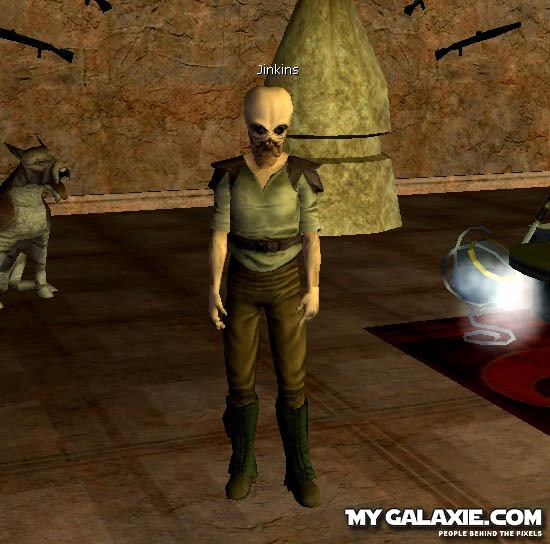 He wants you to go and talk to some guy about the droid cave's backdoor system, she'll tell you how to get in. I will too so you don't have to go see her. 3. 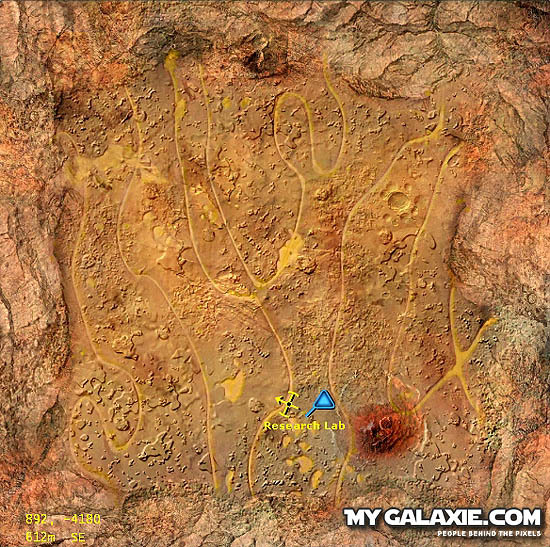 Head to the droid cave it is located at -3000, -660 towards to middle of the map. 4. 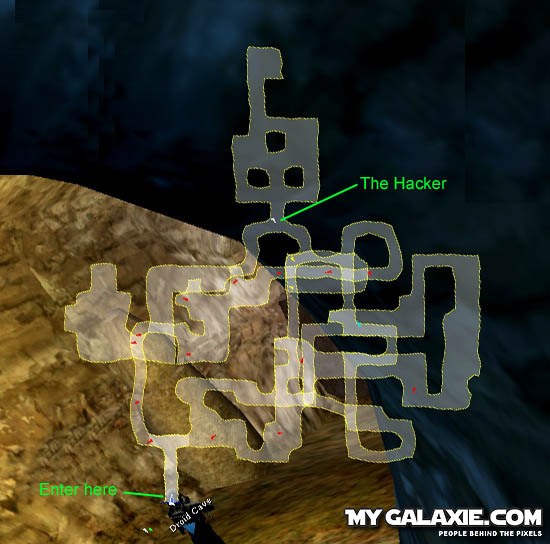 Once there make your way to the back of the cave where the Hacker is located. 5. When you reach her help answer the questions the computer is asking for. The color question is Orange. Math question is 720. the Joke question is Sir! don't worry if you get them wrong you can redo it till you get it right. 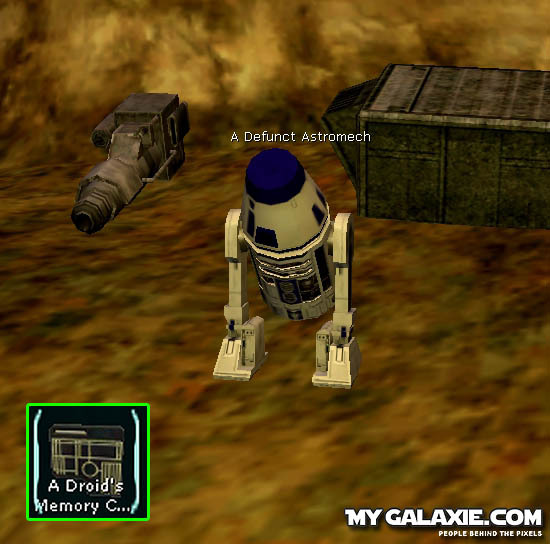 6. head to the area behind her and search this droid, you'll receive a Memory chip. 7. 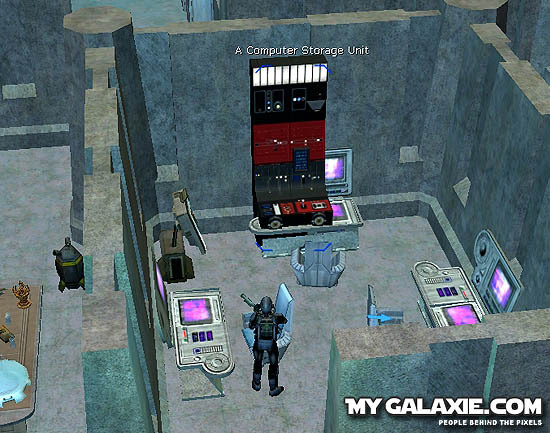 Head back to Nym's Stronghold and drag the memory chip onto Jinkins then talk to him. He will thank you. 8. 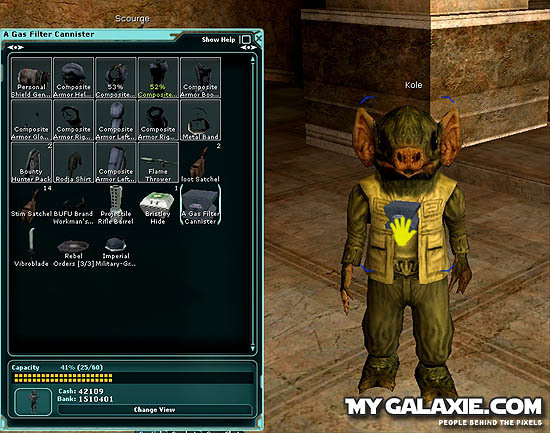 Go to talk to Kole and take his mission to go and recover a sample of poison gas in an Imperial cave. 9. The Cave is located at 6464, 3929. to the north east side of the map. 10. 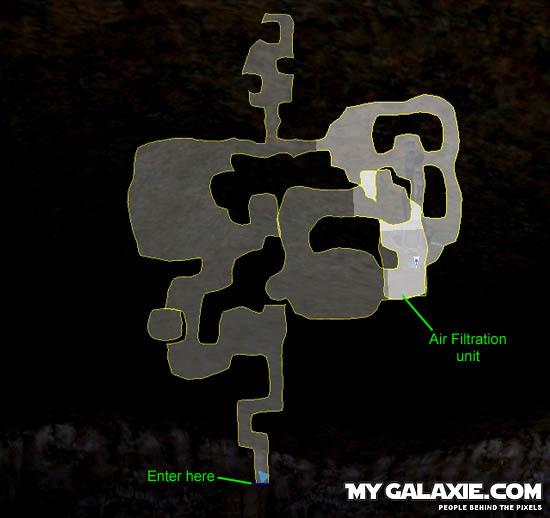 Below shows the location of the Air Filtration Unit. 11. 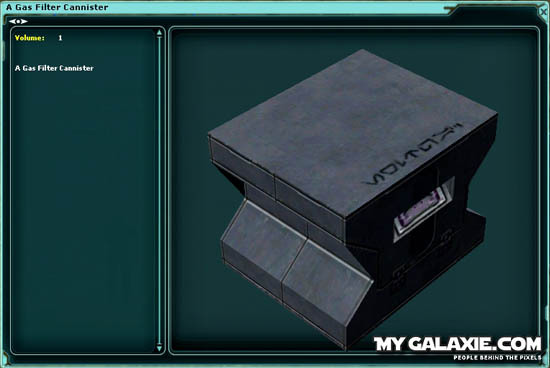 When you search the AFU you will receive a Gas filter Canister. now head back to Nym's Stronghold. 12. Drag the Canister onto Kole and then talk to him. he will thank you. 13. 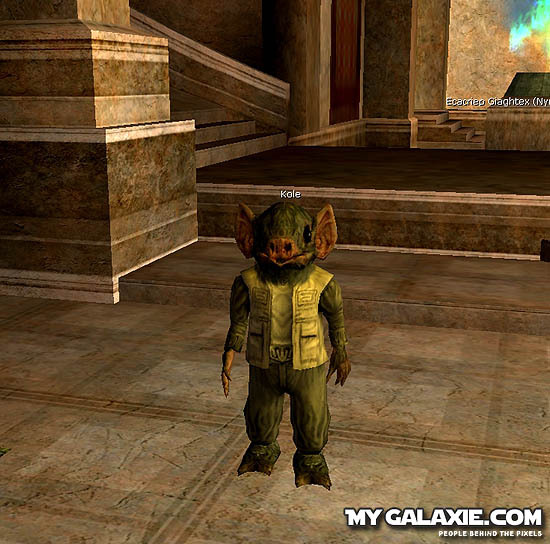 Talk to Nym, he will give you a Mission to go and recover some research data and a grenade from a research bunker. 14. The Bunker is located at 892, -4180, towards the south center of the map. 15. 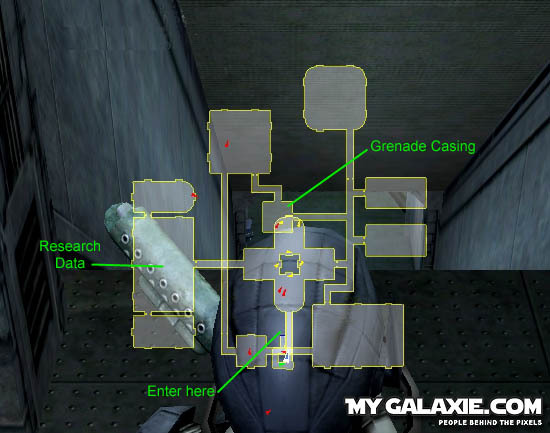 Below shows a map of were the two items are, the NPC in there have about 1300 HAM. 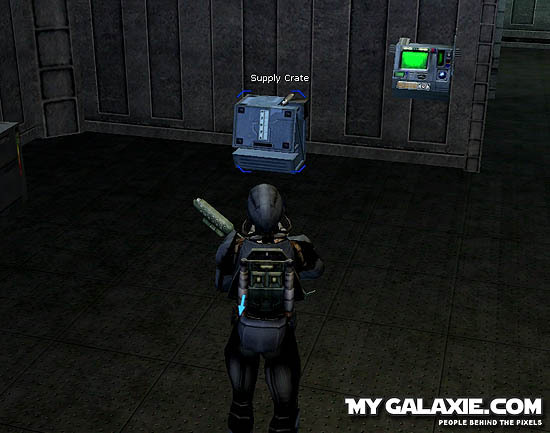 16. you will find the Grenade in this crate. 17. And you find the Data in this computer. 18. 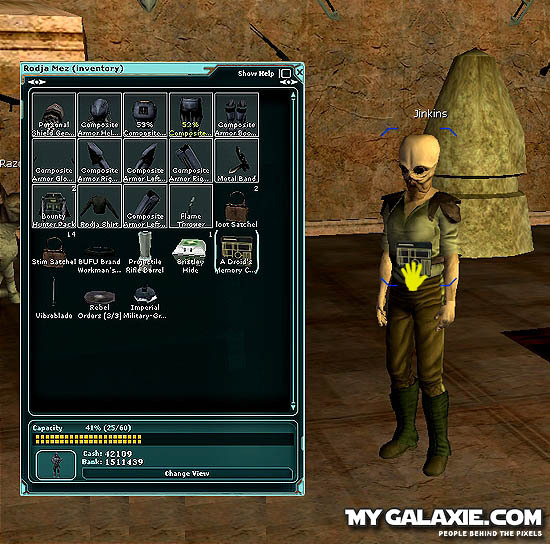 Once you Have Both items make your way back to Nym's Stronghold and Drag the two items on to Nym then talk to him. 19. 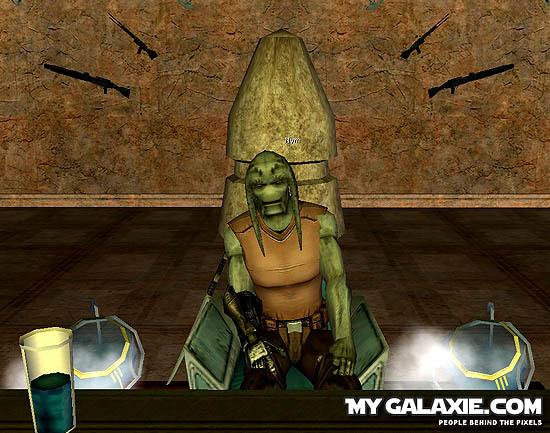 He will give you his Slug Thrower Carbine. 20. 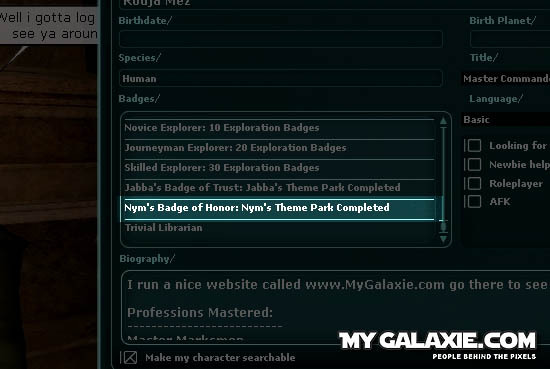 And you will receive a badge for doing Nym's theme park.